Dr. Gerald Striph is a board-certified ophthalmologist specializing in diseases of the brain and nervous system that affect our vision (neuro-ophthalmology). He also performs regular eye examinations on adults and children. Dr. was awesome to see me. He took the time to explain my situation and options as to where I can get my new glasses. I thought that was nice of him. He is the best ❤️. Very nice! Answered all my questions thoroughly. Dr. Striph is very knowledgeable and is most interested in providing the best medical care possible. Dr. Striph is very kind and answers my questions. Alwal was very a great experience !! Dr. Gerald Striph trained to be a neuro-ophthalmologist under Dr. Neil Miller, at the Wilmer Ophthalmological Institute of the Johns Hopkins Hospital in Baltimore, MD. He is a board-certified ophthalmologist trained at Barnes Hospital/Washington University Medical Center, in St. Louis, MO. Neuro-ophthalmologists specialize in diseases of the brain and nervous system that affect our vision. They work with your other doctors in dealing with problems such as brain tumors, strokes, multiple sclerosis, unexplained vision loss, double vision, and abnormal optic nerves. In addition to neurologic consultations, Dr. Striph performs regular eye examinations on adults and children. He performs laser-assisted and “no shot, no suture” cataract surgery as well as other procedures such as those to align eyes. 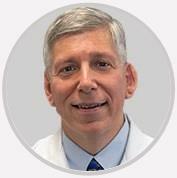 Dr. Striph is a member of the North American Neuro-ophthalmology Society. Their website has patient information about common neurologic problems and the eyes. He is a fellow of the American Academy of Ophthalmology.